Eden Hazard brushed off criticism from head coach Maurizio Sarri as Chelsea advanced to the final of the League Cup at the expense of Tottenham Hotspur. After Harry Kane’s header in the first leg saw Spurs head into Stamford Bridge with a slender advantage, the Blues immediately pegged back the deficit through N’Golo Kante’s 27th-minute strike before Hazard gave them the lead in the two-legged affair with an exquisite finish before the break. A brilliant header by Fernando Llorente five minutes after the interval ensured a nail-biting finish to the match and as no more goals followed, the game went to penalties that saw Eric Dier and Lucas Moura both miss from the spot that gave the west Londoners the ticket to the final where they face Manchester City. 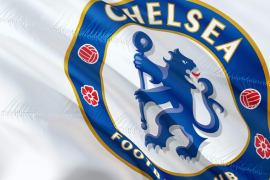 Hazard, who was the fifth penalty taker but did not need to take his spot kick, once again inspired Sarri’s side as they took the game by the scruff of the neck. 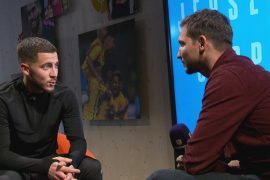 While such improved performance by the collective may come across as a response to their manager’s recent criticism of the team, Hazard, on the other hand, made it clear in the post-match interview that to him, this was simply not the case. Sarri recently laid onto Hazard anew, calling the winger an “individual” as opposed to a “leader”, yet when the comment was put forward to him, Hazard simply shrugged it off. The 28-year-old then gave his thoughts on their opponents Man City in the Cup final. While the west Londoners handed Pep Guardiola’s merry men their first loss in the league this season, Hazard expects a tough assignment at Wembley in a month’s time.